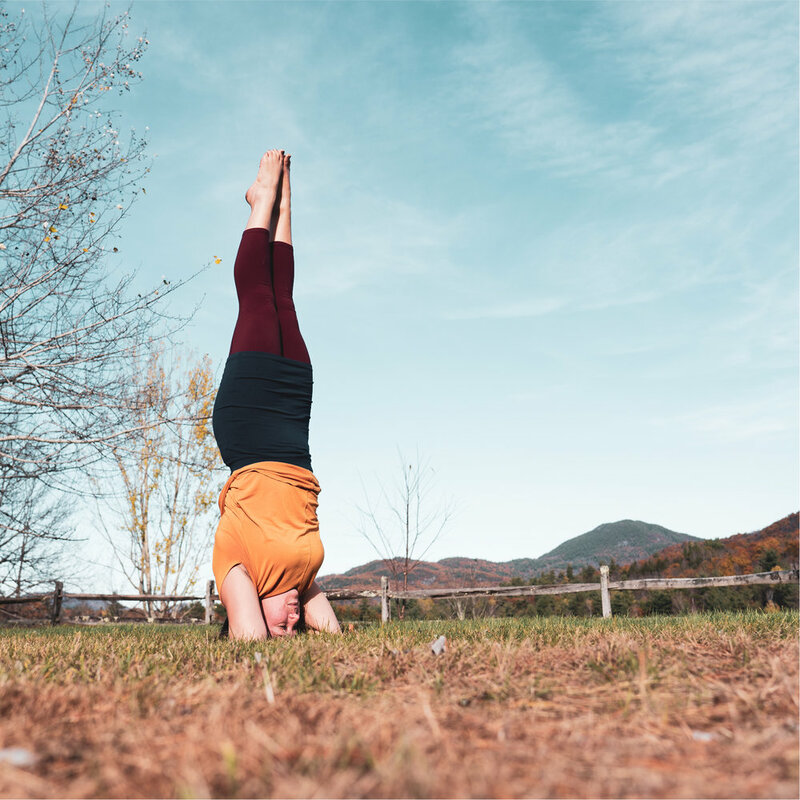 VINYASA translates to mean “conscious or intentional movement.” Our vinyasa classes are intelligently crafted by each individual teacher to be creative, progressive, and aligned with the breath, leaving the practitioner with a rich curiosity and unparalleled feeling of potential. 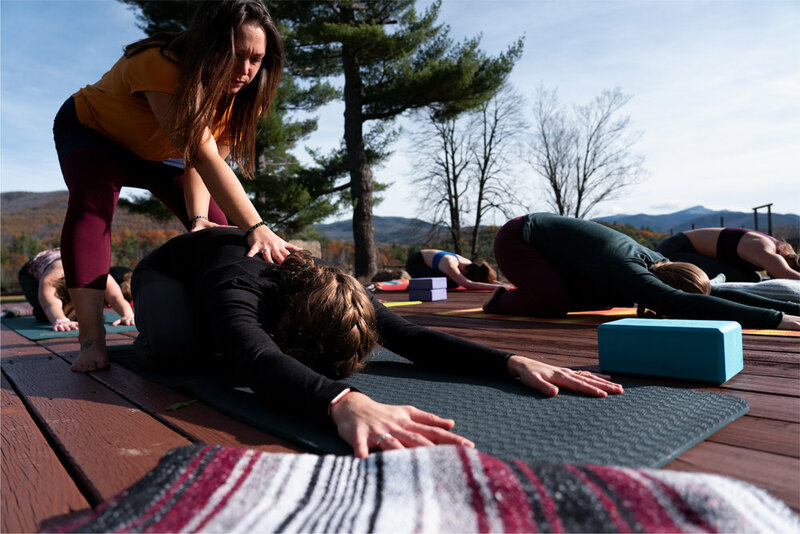 Expect each vinyasa class to include warm-up, standing postures, core and spine stability, and of course, sweet stillness and time for reflection and contemplation. We offer three different levels of vinyasa classes, each designed to leave a specific feeling in your mind and body: ABSORB, ALIGN, & ELEVATE. A slower placed vinyasa class intended to create a calm and relaxed feeling in mind and body. Explore postures that invoke a sense of contemplation like hip openers, gentle twists and forward folds. In addition to movement, this class may also include soothing breath work and postures supported by yoga props. Leave feeling grounded, focus and calm. An flow class that includes creative and dynamic movement designed to be uplifting and stabilizing. Enjoy a well rounded class that may include balancing postures, moderate twists, backbends and basic arm balances. May also include supportive breath work and the use of props to enhance access to postures. Leave feeling uplifted, inspired, and balanced. Designed for anyone looking for an uplifting yoga experience. Enjoy a well rounded class infused with intention + fluid movement. These classes are intended to elevate your mood! 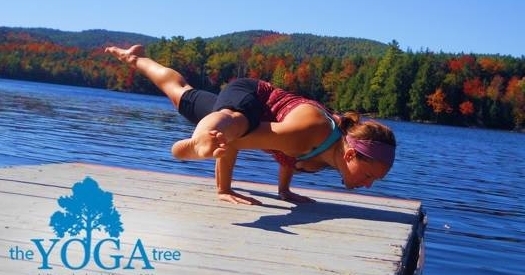 Classes may included more challenging twists, backbends, binds, and arm balances. As always, modifications will be provided! Our team of instructors will always integrate all levels into the classroom. Leave feeling energized, empowered, and fluid. The movement focus in these classes is on the hips and hamstrings - the roots of your body. Expect a balance of movement + restorative yoga to leave you feeling open and refreshed. Leave feeling rooted + renewed. Good vibes only. All levels welcome. Great for athletes. Yin yoga is a wonderful compliment to the more “yang” yoga practices. A specific style of yoga that focuses on long resting holds and cultivating stillness. This practice utilizes props to support active stretching of the deep connective tissue and fascia. Yin yoga is great for easing tension and releasing unwanted stress. Leave feeling light, lengthened and refreshed. All levels welcome. Great for athletes, active recovery, and general well-being. A vigorous practice that draws from the Ashtanga Primary Series. Ashtanga yoga is the “father” of vinyasa and power flow and is named for the 8 Limbed Path described in the Yoga Sutras of Patanjali. This highly disciplined practice promotes internal heat, sweat, detoxification and may result in improved circulation, a light and strong body and a calm mind. Insight meditation is the practice of finding a clear awareness of exactly what is happening as it happens. It is a state in which the mind is brought to rest, focused only on one item and not allowed to wander. When this is done, a deep calm pervades body and mind, a state of tranquility which must be experienced to be understood. Leave feeling rooted and quiet. Suitable for anyone seeking to calm the mind and revitalize the body. A courage builder! YogaTreeLAB is a dynamic and challenging style of yoga designed to invoke a sense of courage within practitioners as they attempt more challenging yoga postures. Intelligent sequencing will properly prepare the body for peak postures. Students should expect to receive hands on assists and verbal coaching throughout the class. YogatreeLAB challenges and motivates every student regardless of their physical abilities. Expect to try something new, work hard, and have a tone of fun! Leave feeling strong, fearless, and accomplished. All levels welcome. Great for seasoned yogis, athletes, and those seeking to enhance their knowledge and practice of advanced postures! The ultimate reset! These classes are crafted with stillness and recovery in mind. With the use of props, enjoy supportive postures that allow the mind and body to sink into rest and digest. These classes include supported reclined and seated poses that gift you time for recovery. Restorative Yoga is the perfect way to balance and enhance your movement based activity. Expect to use lots of props! Class size limited to 15, pre-registration recommended. Leave feeling calm, nourished, and restored.